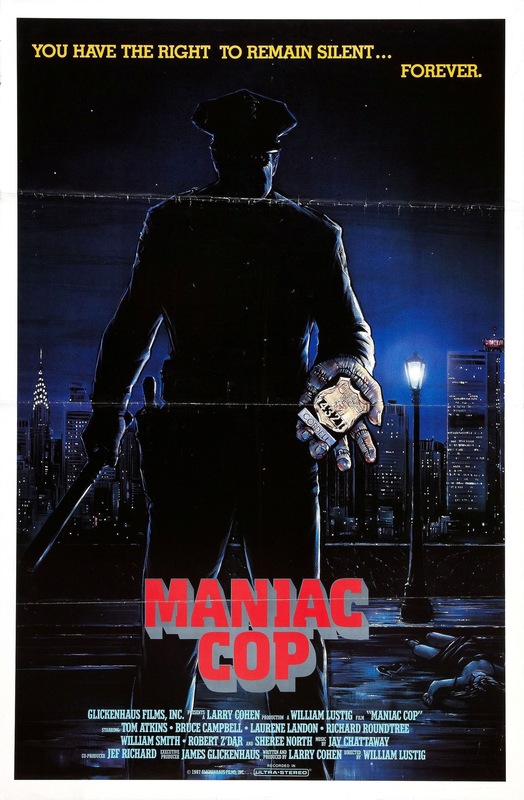 Released in 1988 Maniac Cop stands out from the slasher pack as it doesn’t knockoff Halloween or Friday the 13th and it doesn’t feature many of the cliches that started to big these films down in the mid 80s and really by 1988 all creativity was pretty much gone. 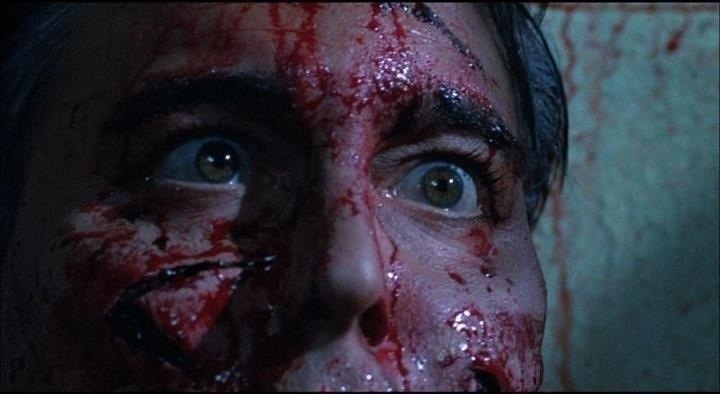 Maniac Cop just might be the most original slasher film of the 80s as it does its own thing rather than rehash other films and in my opinion is one of the stronger slasher flicks of the 80s. Based off the title most would expect a silly splatter flick, but the film is actually player straight and avoids camp value. If anything the only problem I really had with the film is at times it lacked direction as it started off as a slasher film with a mystery angle than becomes more of a crime/drama before going back to the slasher aspect of the film. 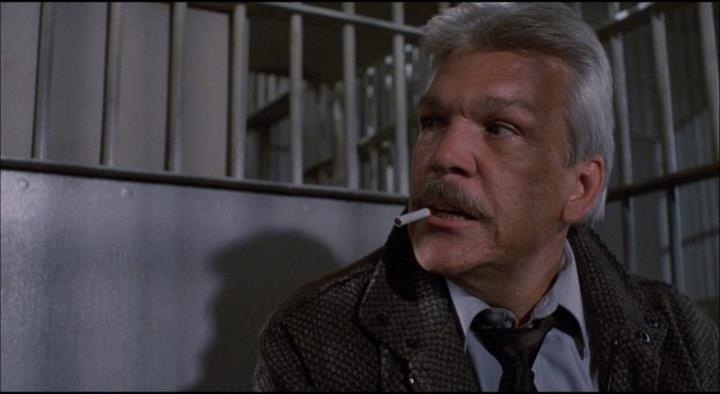 The plot centers around someone dressed as a police officer killing off innocent civilians and after the death of his wife, officer Jack Forrest (Campbell) becomes the prime suspect. The screenplay by Larry Cohen was well written as a whole and like I mentioned before my biggest complaint was the lack of any clear direction; based on the title and the plot most would assume this would be some silly splatter flick, but instead the script focuses more on the crime/drama element and I think this though hinders the movie in some areas, but I also think it helps keep the film from being the standard late 80s slasher flick. In general Cohen works the slasher and crime/drama parts of the script, but there are times when the flow doesn’t fully work and it almost seems as if two scripts were written than combined. The characters are fairly decent at least the main characters and that in part help keep the script interesting. From the start we know Jack Forrest (Campbell) isn’t the killer so this isn’t a spoiler, but I don’t see why Forrest was even set up for the murders. It was explained, but quite honestly it really doesn’t make a lot of sense and it seemed as if it wasn’t fully thought out. The motive behind why Cordell (Z’Dar) is killing also isn’t made clear; it’s mentioned why, but if he has a grudge against people of the police department why not go after them rather than murder innocent people? As solid as the script was it was little things like this that slightly hinder the film, but they are easy enough to overlook since the rest of the script is quite solid. The mystery angle is probably the strongest of the script and the only problem I have is as the film goes on Cordell is humanized a little too much. While its never a bad thing to give your villain a little depth I do feel as if for me at least I couldn’t fully buy into Cordell taking so much damage and keep on coming back. Films like Halloween at least early in the series never gave much of a backstory to Michael and the same for Jason in the Friday the 13th films, which makes it a little easier to accept them as unstoppable killers and while I can still accept Cordell as an unstoppable killer there are times when I did sort of feel it didn’t work since he’s humanized too much. Overall Larry Cohen delivers a solid screenplay that works best though before we learn more about Cordell thus taking away some of his mystery. But regardless Larry Cohen writes an excellent screenplay with some flaws, but doesn’t take away from it too much. Director William Lustig may not have reached the heights of John Carpenter or Dario Argento, but Lustig in my opinion is a very underrated filmmaker; Maniac was one of my favorite horror flicks of the 80s and he really captured that grindhouse style of filmmaking perfectly and did it again with Vigilante; I don’t think Maniac Cop is as good as either of those two movies, but Lustig however still delivers an excellent film. 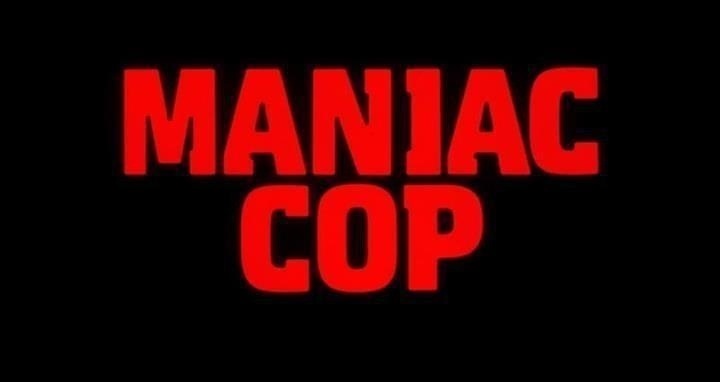 Maniac Cop gets off to a very quick start with about 5 murders in the first 20-minutes and Lustig also creates a nice eerie tone and keeps Cordell hidden to add to the mystery. As the film shifts gears a little bit and the film becomes more of a crime/drama the eerie feel from the first half is lost a bit, but Lustig still keeps the film well paced. The exploitation style of filmmaking Lustig was known for at this time isn’t present here and I think that’s a good thing since it shows William Lustig can do more than just one style of film. 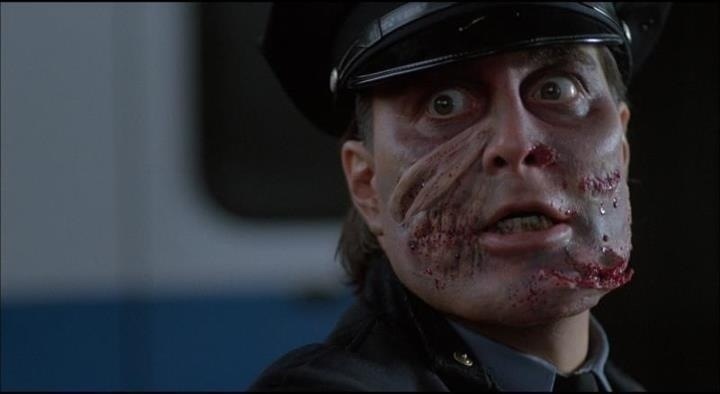 While Maniac Cop may not be a perfect film, but its another winner from William Lustig. 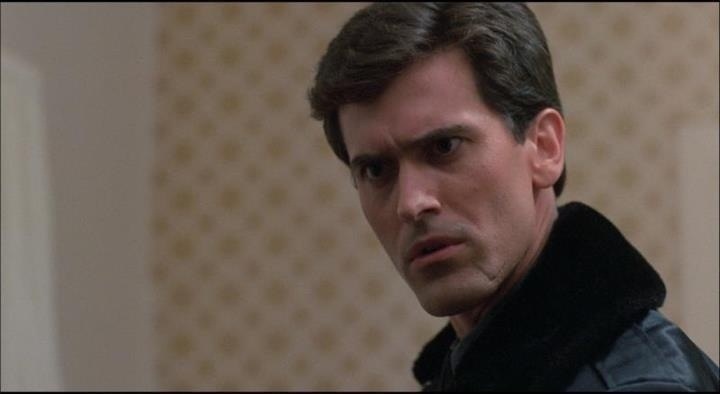 The cast for Maniac Cop was amazing with Tom Atkins who like always delivers a great performance and of course Bruce Campbell as Jack and Laurene Landon as Theresa both are excellent and work very well together. We also have Richard Roundtree and in cameos Sam Raimi as the parade reporter and boxing legend Jake LaMotta as a detective early in the film. And if not mistaken, LaMotta is William Lustig’s uncle. And speaking of Lustig he also has a cameo. Robert Z’Dar is quite imposing as Matt Cordell and the character may not have reached the heights in popularity as Jason Voorhees and Michael Myers, but Z’Dar has a great presence and is very menacing. Overall Maniac Cop is an excellent film and don’t let the title fool you into thinking this is a campy splatter flick as the film is played straight and ends up being one of the better slasher flicks of the 80s and one of the better late 80s horror movies. 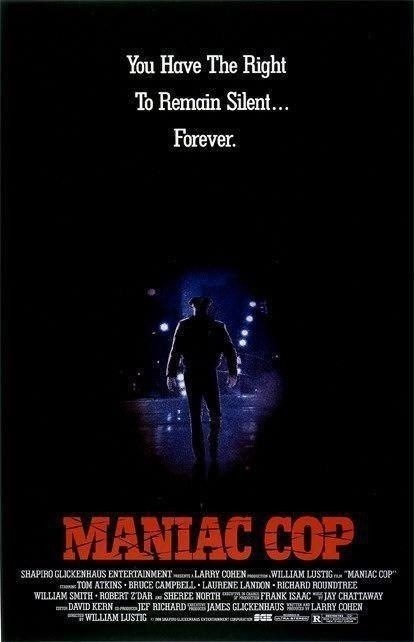 Maniac Cop was followed by two sequels.